Aleksandra's Note: I had the pleasure of meeting RCAF veteran Norman Reid in Chicago in 1994 at the 50th anniversary celebration of the Halyard Mission, as part of a week long world-wide commemoration of the 50th anniversary of D-Day. He impressed me as a kind, soft-spoken, unassuming gentleman who escorted me to the D-Day activities on Lake Michigan that same week. I had hoped to keep in touch with Mr. Reid in the following years. I do not know if he is still alive and hope that if anyone does know, they will get in touch with me. These are the guys I wish would live forever. 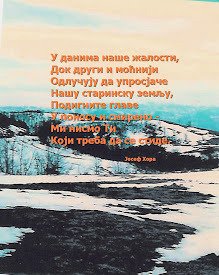 Many thanks to Nikola Mandic from Ontario Canada for sharing this testimony by RCAF veteran Norman Reid from "The Memory Project". German flying-bomb sites in France, 1944. Library and Archives Canada, Faces of War, Unknown Photographer. We became a member of 40 Squadron, 205 Group and we started our operations shortly after that out of the area near Kairouan, Tunisia, and we had some very long northward trips to industrial towns in Italy, such as Milan. We also were detailed to attack the submarine pens at Toulon, Toulouse, in France, where the Germans serviced their U-boats. By December 1943 we were moved from Tunisia to captured German aerodromes on the east plains of Italy, immediately adjacent the town, perhaps city, of Foggia. It was from Foggia that all of our remaining operations were carried out. Our operations could really be categorized of two in nature: one I’ll call strategic; strategic in the sense where we were, all our operations were at night. 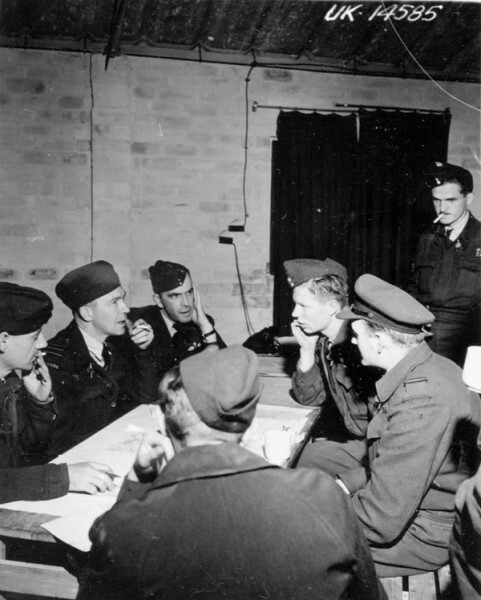 Each aircraft operated as a single unit responsible for its own navigation, its time and you had to be over the target within three minutes of TOT, Time Over Target, the idea being to saturate the German defenses. Those strategic operations were against heavily-defended refineries. 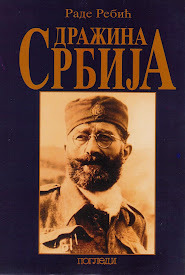 I am really interested not from my personal story point of view, but getting out the truth of what ultimately happened to General Draža Mihailović [leader of the Serbian Royalist "Chetnik" movement], who I came to know personally. Key railway bridges were tactical targets. I did 41 night combat operations. Was forced to hit the silk, as they said, [bail out] two times. 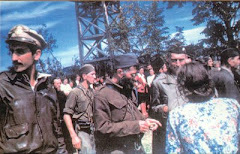 On the 41st operation [in May 1944], which was supposed to be my last, they wanted me to find, as a navigator, a bridge, a rail bridge in Romania on the Jiu [River]. I found the bridge. And we did a dummy run now at 1,500 feet and everything was calm and quiet and we thought, oh well, this is a milk run, as we called them, like intelligence briefings said it would be. Then we went and did another big circle to the east of the bridge and went down over the tracks at one hundred feet. Now, that is low at night. And we came; I had developed a special way of hitting a bridge. You can’t hit a bridge flying along the river because it zips under you so fast, you’d never see it or hit it. You have to come at it on the tracks or highway that it’s on and get lined up. And I used the front guns and then the bomb aimer, when I said now, pressed the bomb release and down went a 4,000-pound armour-piercing bomb with an eleven-second delay that gave you time hopefully to get out of there before the bomb’s explosion might hit you or pieces of the bridge hit you and you had eleven seconds to do that. As we approached the bridge, everything was quiet and at the point almost of me saying “now” to the bomb aimer, all hell broke loose. The flak was coming at us. It was low level, 20- millimetre stuff. The bomb aimer, as he released the bomb, was killed. The starboard fuel tank in the wing was hit and we were trailing fire. I put a compass heading to take us onto an area of Serbia where we hoped to get Underground help and we crossed the Danube and shortly thereafter, baled out. 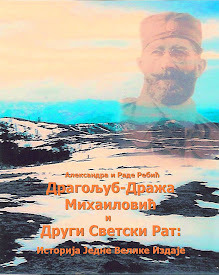 I had run into the four who were part of a dawn patrol of the Chetniks’ Underground, who were under the Royalist group of General Draža Mihailović. I did meet General Draža Mihailović. He was on a mounted horse and we had a few words. He did not speak much English but he did speak French and I had enough of that that we could converse. 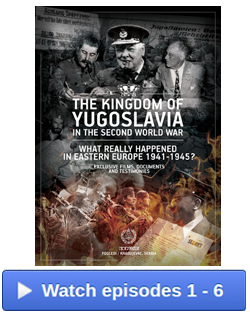 Because [British Prime Minister Winston] Churchill had decided to back [Yugoslav Partisan leader Josip] Tito [against the German forces that had occupied Yugoslavia since April 1941], dropped all ammunitions, arms, food, whatever was needed to him, pulled the British liaison officers, secret agents that had been with Mihailović, pulled them out - the same month I dropped in [May 1944] as it turns out - and they literally abandoned Mihailović and the Serbs. 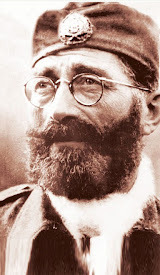 Mihailović and the Serbs were caught between now the well-armed Tito communists from the west and the Russians from the east; they were slaughtered; the very guys that had helped me out of there and kept me safe from the Germans. 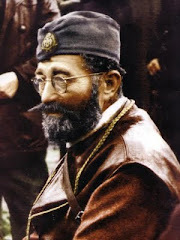 Mihailović was in the Bosnia/Herzegovina area. He was sick with malaria. They finally captured him and threw him into jail in Belgrade. 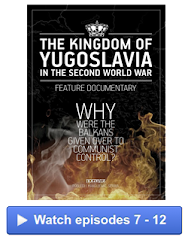 He was put on trial for collaboration, if you can believe it, with the Germans, by Tito, who had no interest other than dominating the political situation of Yugoslavia, becoming his despotic, becoming the despotic autocratic head of state and imposing his brand of communism on Yugoslavia. [In June, 1946] I was asked would I go to Washington, D.C. and said of course I will, I’ve been reading the papers and wondering what the hell I could do, because an innocent man is facing a communist trial and is going to end up being murdered. So I went to Washington. 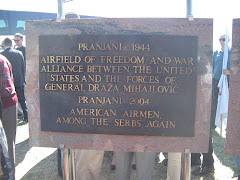 Some American airmen were there and there was formed a Committee for the Fair Trial of Draža Mihailović, of which I was and still am a member. 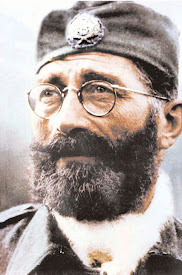 I said I am prepared to go to Belgrade and as a witness and tell my observations and relationship with General Mihailović. And so did two or three of the American flyers. 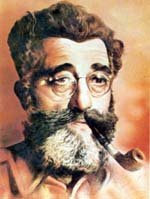 However, the Yugoslavs, meaning Tito, would not issue me a visa. And they didn’t want to hear my evidence. I nevertheless gave it under oath at the State Department. I have been told it was read into the trial but it was dismissed. And the evidence, which the communists had, was so strong, it was argued, that Mihailović was condemned even before the trial started. He was taken out to a golf course in Belgrade and he was executed, they say - murdered, I say - by the firing squad [on July 17, 1946].